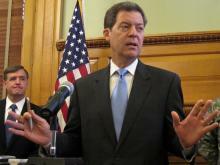 Kansas Governor Sam Brownback has long been a critic of health care reform. Kansas Gov. 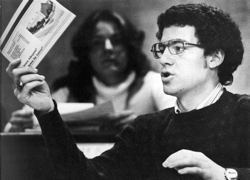 Sam Brownback never liked the Affordable Care Act, saying "Obamacare [is] an abomination." As a U.S. senator, he voted against it. And during his campaign for the governor's office last year, he made a vow: "What we'll do in Kansas is we'll do what we're required to do, but we're gonna fight it all the way." Brownback made good on that promise, and, as in Missouri, rejected a federal grant to get the exchange started. Brownback's move put Kansas Insurance Commissioner Sandy Praeger in a bit of a bind. Praeger, who is a moderate Republican, was in charge of administering the grant. She says the governor is betting that the new health law will be repealed. A state-run exchange would allow officials to tailor the system to local needs. But it may be too late for Kansas to set one up . The governor has indicated he wants to wait and see if the Supreme Court strikes down health care reform. That decision won't come until June, at the earliest. By then the Kansas legislature will be in recess. In Missouri, there is still time. The Senate committee charged with seeking public input and reporting back to the legislature has at least one more hearing scheduled.